This tool can help real estate investors quickly calculate the monthly payment amount for a balloon loan. First enter the amount of money you need to borrow, the estimated interest rate, and the loan term in months. Then input the date of a first payment, along with the amount of any upfront payments, loan fees, or balloon payments (if necessary). Then press CALCULATE and you’ll receive a breakdown of costs including your monthly payment amount and a balloon payment due at the end of the loan term. For a printable report, click on “Create Amortization Schedule,” and a new browser window will open with a month-by-month schedule for the loan. When looking to mortgage a home, you have many options about what type of mortgage you want to have and what type of loan you are looking to take out. These can vary based on income, credit score, or general financial situation. Different types of mortgages will allow for varying interest rates and monthly payments or a longer or shorter term loan. The most common types of mortgages are a fixed rate mortgage and an adjustable rate mortgage. So what about a balloon mortgage? Is it something you should consider? A balloon mortgage is a cross between a fixed rate mortgage and an adjustable rate mortgage. Similar to a fixed rate mortgage, you start with a fixed interest rate that remains constant over the course of the loan. This fixed period for a balloon loan is generally five to seven years. Over this period, you will have fixed monthly payments that will remain unchanged until the five to seven years is up. These payments will have a low-interest rate, identical to those you would pay with a fixed rate mortgage. However, with a fixed rate mortgage, this period is usually fifteen to thirty years and by the end of the term, your home is paid off in full and you have a balance due of zero. With a balloon mortgage, since it is only a five- to seven-year term, there will still be a remaining balance consisting of most of your loan. At the end of this term, your remaining balance will become due. For example, if you take out a $100,000 balloon mortgage loan and pay off $15,000 over a five-year term, the remaining balance of $85,000 will be due at the end of these five years. At this point, there are two options as to how to proceed: you can pay your balance of $85,000 in full and your home will be yours or you can refinance the remaining balance and take out a new loan. Most people do not have a lump sum of money to pay off the balance and choose to refinance. In this way, a balloon mortgage is similar to an adjustable rate mortgage. The fixed interest rate you paid monthly for the initial five to seven-year term will now become an adjustable rate. The new loan will have an interest rate based on your new financial situation and the current market. Rather than planning to pay the balance in full at the end of the five- to seven-year term or planning to refinance the mortgage, some borrowers get into a balloon mortgage with the plan to sell their home at the end of the term. In this case, the borrower would just put the profits from the sale toward the due balance and pay it off in that way. What Are the Advantages of a Balloon Mortgage? There are many variables that need to be considered before taking out a balloon mortgage. Depending on your financial situation, many precautions need to be taken before taking out a balloon mortgage. However, if you decide that this is the best mortgage for you, it can be very beneficial and helpful in keeping you financially on track. The main advantage to taking out a balloon mortgage is that during the first five- to seven-year term, it allows you to have low monthly payments and interest rates. This type of arrangement is appealing to anyone who believes that over this term, their income will increase or that interest rates will go down. If the borrower's income increases over this time, when he or she applies to refinance, the borrower may end up with an even lower monthly payment than the original term. In the case that interest rates decrease, borrowers will also end up with a better arrangement after the initial term. Other borrowers may not plan to stay in the house for the full term. In this instance, they have a chance to take advantage of the low-interest rates and low monthly payments during their stay in that house. These borrowers are basically getting a fixed rate mortgage loan for a short-term but with much lower monthly payments. They also avoid the risk of having to pay the balance due in full and the end of this term and will not need to refinance the balance. Many people believe that a balloon mortgage is much simpler than taking out an adjustable rate mortgage loan because the interest rate only changes after the specified term. For the initial term, the borrower does not have to worry about any unexpected changes to their payments and will have a much lower monthly payment and interest rate. Furthermore, when the term does end and the interest rate begins to adjust, the new interest rate is based upon current market rates while interest rates on an adjustable rate mortgage are based upon a designated index. What Are the Risks and Disadvantages of a Balloon Mortgage? Before taking out a balloon mortgage, there are many risks to take into consideration. After the first five to seven years, you may find yourself in a different mortgage agreement than when you started. The biggest disadvantage to consider is that at the end of this five- to seven-year term, the entire remaining balance is due in full. By agreeing to the loan, you agree to pay this balance after the term. However, there is another option. Many borrowers decide to refinance the loan instead of paying it in full, but there are risks on relying on this as your form of payment. After the initial term, your financial situation may be extremely different from when you took out the original balloon mortgage. Whether your credit score has dropped or property values have dropped, you may not get approved to refinance. 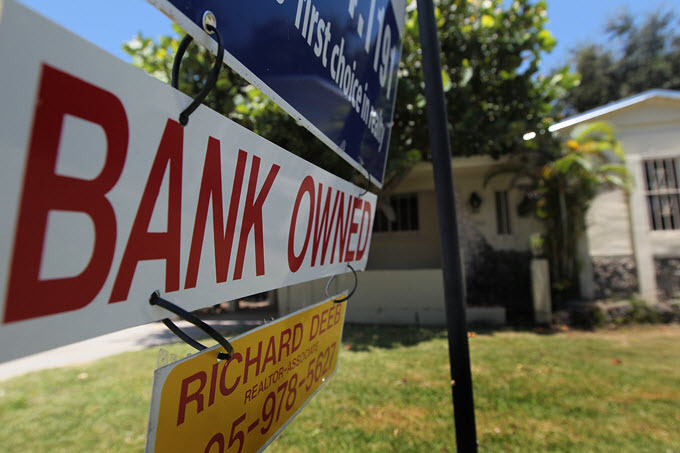 At this point, if you are not able to pay the full balance, the bank could foreclose your home. If you are able to refinance your home, as you planned when you took out the balloon mortgage, you most likely will not have the same interest rate and monthly payments. The low-interest rates you paid during the initial term may become very expensive new monthly payments. If you planned to sell your home at the end of the initial five- to seven-year term, you need to hope that property values do not drop in that period of time. If over those years the property value drops, you may not be able to sell your house, forcing you to either refinance or pay the balance in full. While a balloon mortgage could be a beneficial situation for some, you must make sure that you are in a financial situation to handle the possible risks. Some important factors to take into account when reviewing your financial situation would be a change in personal income, possible decline of property value, future spikes in interest rates, and your credit score. Although basing your decision off your current finances is also a good idea when considering initial down payments on your mortgage, your future circumstances must also be accounted for. Future circumstances are so important when taking out a balloon mortgage because all of your rates will change after the initial five- to seven-year period. So make sure that you will be in an improved financial standing after this term in order to manage the payment or refinance of your loan. Take your personal situation into account and make sure that this is the right mortgage choice for you.